Clear Story blends the techniques and trade secrets of architecture, design, photography, and theatre production to capture, manipulate, and direct light to create unique environments and visual experiences. Whether designing for an intentional space or adapting to an existing setting, Clear Story designs and programs lighting and projection systems that function in a variety of environmental conditions both interior and exterior. Clear Story produced this one-night presentation during the 2015 Pittsburgh First Night Event for the Allegheny Health Network. Working in conjunction with Mullen Advertising, Clear Story produced both video and motion content to awareness to the clients #tellcancer campaign. Clear Story also executed the installation and operation of the large format projections. Clear Story implemented a one-night projection happening as a guerrilla promotion tactic for “The Chair,” a documentary / reality program that followed two directors as they made their first feature films. The films — “Hollidaysburg” and Not Cool” — are based on the same source material and tell the stories of high school friends returning home from college for Thanksgiving break. 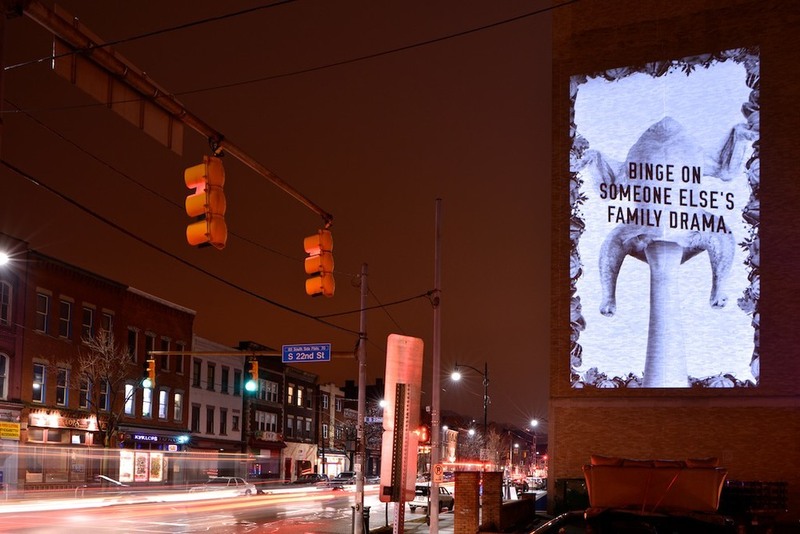 Clear Story identified high-visibility locations and executed high-quality projections on the Wednesday night before Thanksgiving in Pittsburgh’s bustling Southside neighborhood. “The Chair” and the two movies were produced in Pittsburgh in 2014. The content for the projections was developed by Wall-to-Wall Studios. 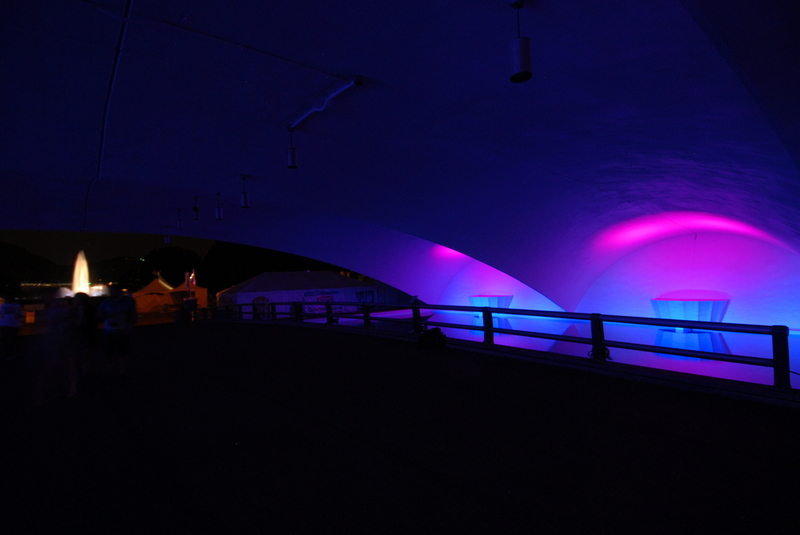 Clear Story was commissioned by Riverlife to create a temporary lighting installation for the Portal Bridge at Point State Park as part of Riverlights, a special event to celebrate the reopening of Pittsburgh's iconic fountain at the confluence of the three rivers. 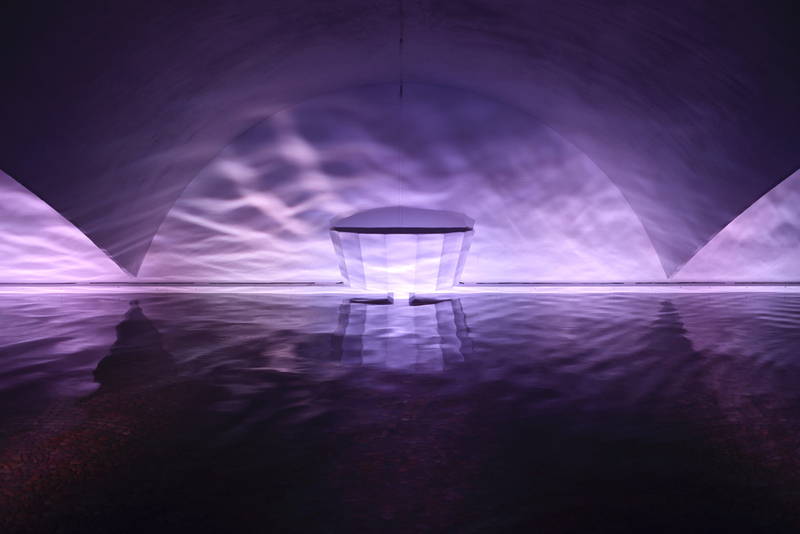 Using energy efficient light fixtures and a restrained color palate, the design emphasized the fluid textures of the water in the reflecting pools and accented the distinctive architectural characteristics of the space. Clear Story served as the technical directors of the Pittsburgh Festival of Lights, a series of spectacular architectural lighting and projection installations throughout Downtown Pittsburgh. 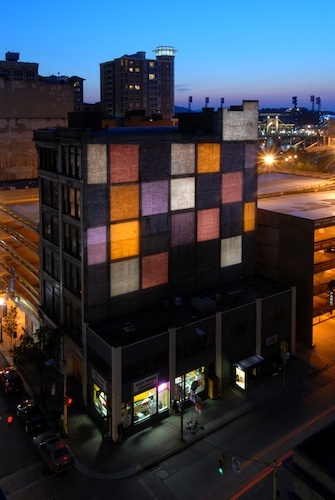 The project transformed the cityscape and nighttime environment, encouraging visitors to explore the city on foot and become immersed in the towering murals of light. As technical directors of the Festival of Lights, Clear Story’s specialists collaborated with renowned firms Art Lumiere and Casa Magica to provide installation support and coordinate all onsite logistics, permitting, electrical requirements, and weather enclosures for the projection systems on buildings such as the David L. Lawrence Convention Center, William Penn Hotel, and the Cathedral of Learning at the University of Pittsburgh. Clear Story's Principal and Creative Director Rob Long was also a featured light artist in this festival of urban lighting installations. This work by artist Doug Aiken was a major highlight of the museum's world renowned exhibition. The installation which was managed and produced by World Stage was installed on the front and rear of the museum for nine months. Clear Story role was to provided technical support, onsite management and maintenance of the project during the setup and run of the exhibition.